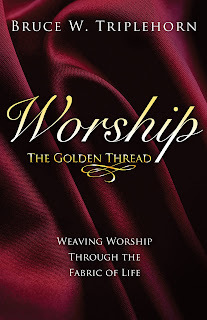 Camera-ready images are now available for bulletin inserts to promote the new book, Worship: The Golden Thread, by Bruce Triplehorn. The book was recently released by BMH Books, Winona Lake, Ind. The insert is available in grayscale or color, and are in a two-up format. They may be downloaded at no charge at www.bmhbooks.com. The files may be used to produce flyers to be included in a bulletin or other promotional material. Click here to download the bulletin inserts.